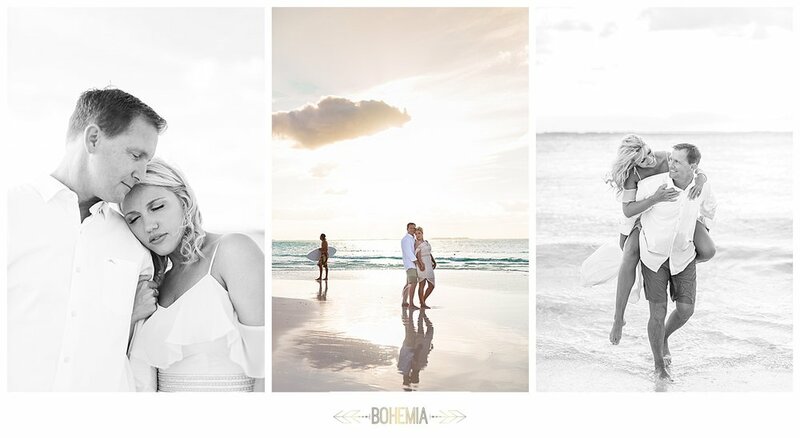 This blog post has been a long time coming, but I promised to show you Lindsay and Jody's beautiful Isla Mujeres town and beach trash the dress session, and here it is! 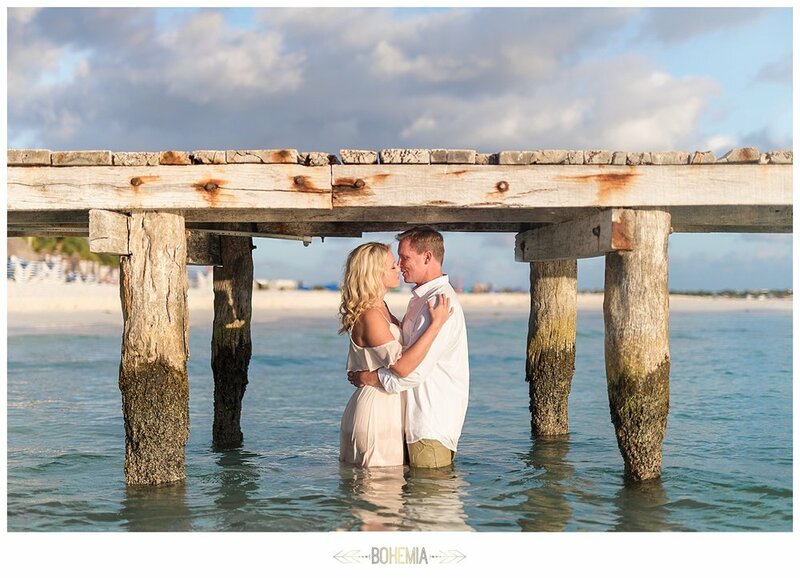 We had tons of fun with Lindsay and Jody on their wedding day, but a few days later (after everyone was rested up) we explored the town and beaches and got some beautiful photos in a more relaxed setting. That's what I love about post wedding day sessions, you can take your time, relax, have fun and get the shots you want without any time pressure. 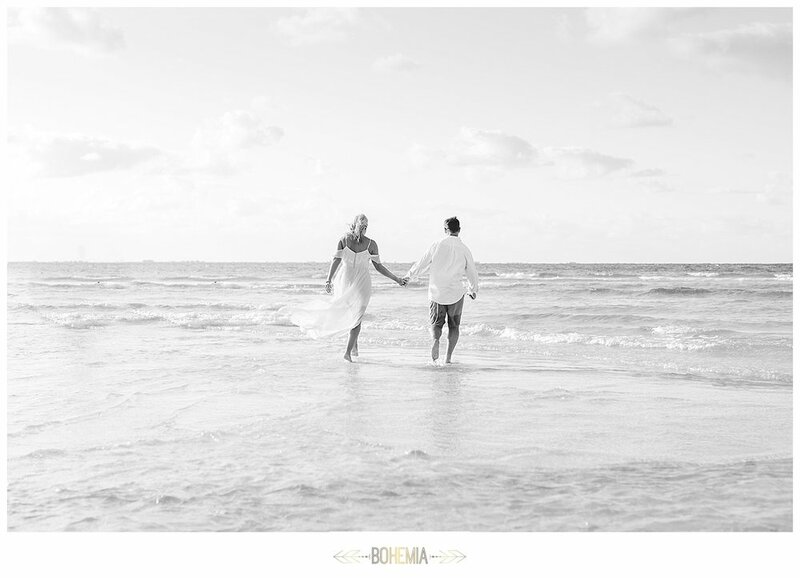 And when a bride and groom are more relaxed too, it's even better. Also, this is a great example of "trashing the dress" without actually trashing your wedding dress. 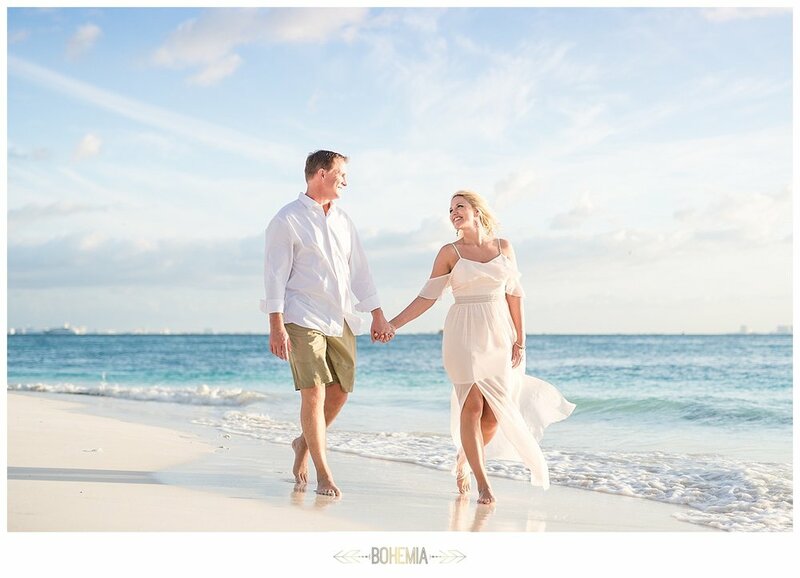 Lindsay purchased a gorgeous, blush, flowing beach dress and it was absolutely perfect- and her wedding day dress is still clean and intact! For this session, we actually brought along our Ikelite underwater housing because the water is like a swimming pool in Isla Mujeres and we wanted to showcase that in the photos for them. 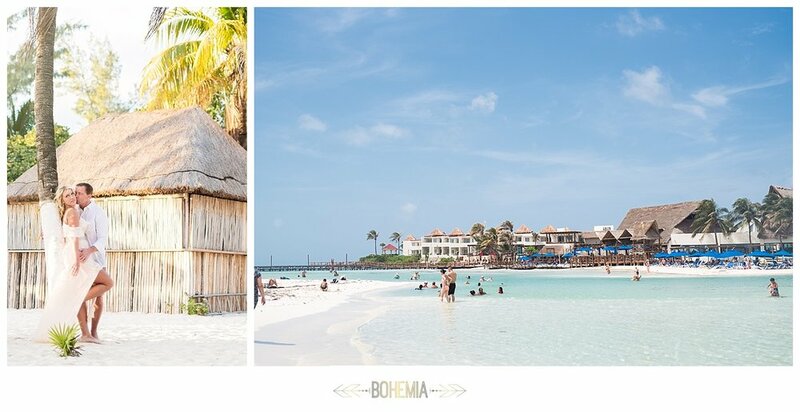 Isla Mujeres is so gorgeous and unique I wanted to mix their photos with scenes around the island, I hope you enjoy! Thanks Lindsay and Jody for 2 days of fun with you guys!